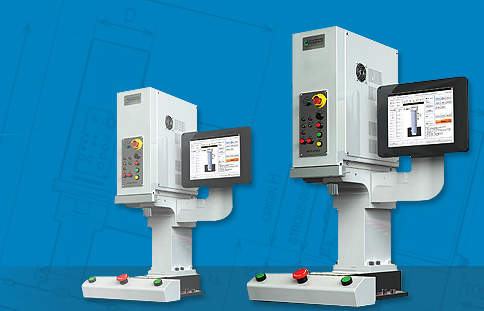 Our exclusive Center Master devices compensate for positional and/or angular errors, which are major contributors to poor press-fit, machine and tooling wear, machine and tooling failure, and poor quality. The FlexPress EM/SEM – Series is precisely driven by an AC Servo motor and an elaborate ball screw system. 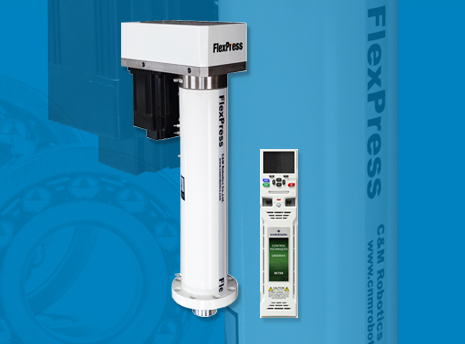 The FlexPress is a cost effective way to press-fit bearings, oil seals, bushings, pins, shafts, gears, etc. It is also used for riveting, stamping, forming, bending, injecting, etc. Force Setting: < 0.5% of F.S. Detect critical point, load at assigned locations, contact point, etc. The FlexPress BEM – Series is a bench top servo press ideal for lower volume batch production lines where a fully automated system may be excessive. 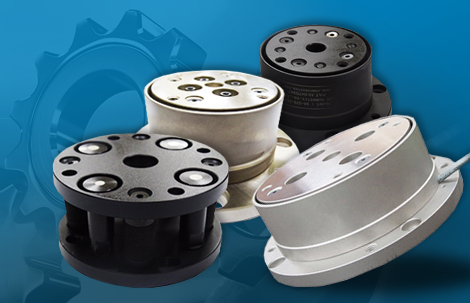 This series allows you to control each of your products under optimal conditions.